these 3 themes are in the key of D major. the chord progression of the chorus uses a modal Bb. 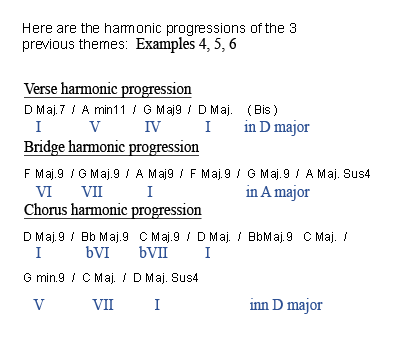 in the bridge, the G major chord is modal in the key of A major. 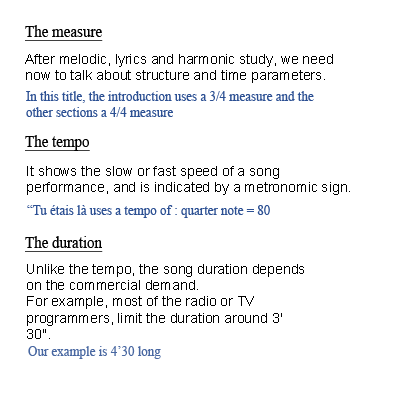 the measure, tempo and duration are a part of the rhythm.